I think it’s safe to say if you’re a runner you either were, are or are going to be in the future one of these types of runners during a race and you know what, that’s absolutely fine. I can put my hands up and admit that 80% of these are actually me or I’m very jealous of them and I want to be them (except for perhaps the last one!). 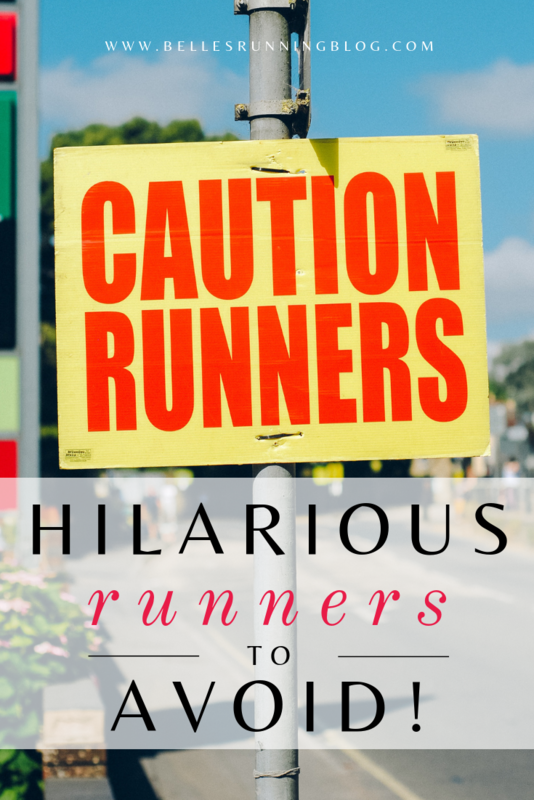 So put your feet up, grab a healthy snack and let’s all laugh along at ourselves and own each of our uniquenesses as runners no matter what our abilities or goals. I wanna know in the comments which one you are or if I’ve missed any off that you can relate to. Okay, let me tell you my beef with these runners in costumes. They give you the illusion that perhaps they’re not striving for a PB or that they’re just casual runners… and they aren’t at all! 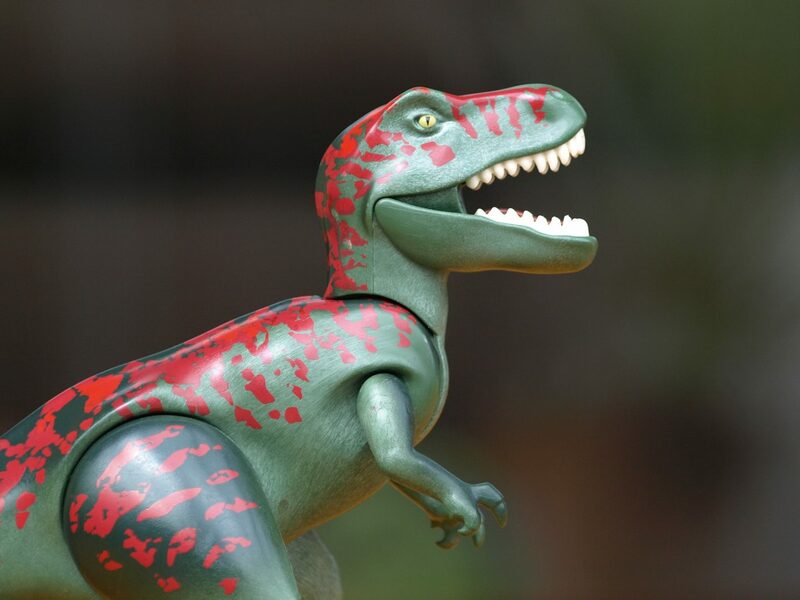 They lure you into a false sense of ‘it’s fine I’ll beat the T-Rex at least’ and you go along your merry way and before you know it they’re off and leaving you in a trail of T-Rex dust. Looks like I’m the one that’s extinct. Then your loved ones at the finish line say ‘oh yes, you came in just after the man dressed as a giant banana’ that you just know is translated as ‘couldn’t you try harder to overtake or keep up with the banana’. No, no I couldn’t because the banana is secretly some running pro who decided to join the same race as I did. Thanks though. Honestly, how do these runners manage it? I wholeheartedly commend people that run in any kind of costume, they must be the fittest ones on the course. I’m an ‘I’ve been running for 4 minutes and I’m hotter than the sun’ sort of girl so how anyone can run in any sort of costume, especially ones that cover your entire body I just don’t know. My ultimate goal will be one day being fit enough to run in a full costume and overhear someone say ‘you got overtaken by the girl dressed as a ________’ (fill in the blank). Oh and also, I did get overtaken on the final stretch of a race by a T-Rex which is why I’ve picked this particular costume because, damn I’m still upset about it. Paula Radcliffe, are you in there?? 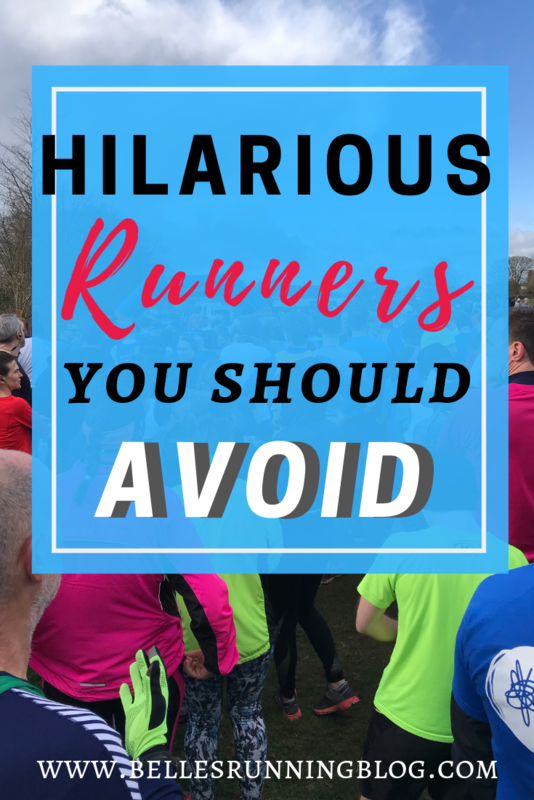 I’ve encountered so many of these runners that I’m starting to feel that I’ve been running all these years incorrectly (which may well be the case!). They are usually females who somehow make it look like they are gliding along the floor like actual Bambi and as if it’s no effort to them at all. Not only that, they’re usually the ones looking fresh as a daisy and perfect when they cross the finish line (and ahead of me I’ll add). At the end of any race, from 5k to a half marathon, no one has ever said to me ‘you don’t even look like you’ve run at all’. Think of the absolute opposite of this ‘oh Michelle you look like you’re going to be sick and fall over’ is more like it. I need all of your tips and I need them immediately, thank you so much. Honestly, this is actually me 100%. I am a terrible tailgater when it comes to running races, so much so that at one race, the guy who I’d been following for quite some time (at a very small country lane type race) turned around to me and said ‘it feels like I’ve got a vulture sat on my shoulder’. Whoah there, stop with the compliments, you’re making me blush. The reality of this was I was using him as some sort of pacer, that he never signed up to poor chap, and I didn’t have anything left in the tank to overtake but wished with all my heart that I could. So, I apologise to literally anyone I’ve run any race with because I’m still guilty of this but I’m trying to break out of this habit and push myself to run just a little out of my comfort zone and overtake anyone I might encounter. If you see me and I do this to you, feel free to make vulture noises right to my face, you have my full permission. A controversial runner the Sprint Finisher I must say. Again, this is actually me and I was oblivious that this annoyed other runners until I got sworn at by another runner who I’d just overtaken to the finish line! Let me put this into context for you, I had just run a particularly gruelling (in my opinion) 10k trail run. The course was difficult, slippery, wet, I fell over a lot and I just wanted the whole thing to be over. When I feel like I’ve had a more challenging race and I see that finish line, I’m much more likely to go into ‘sprint mode’ and at least push myself at the last 8 seconds of a race when I haven’t been able to the whole other 9.99k. It gives me 8 seconds of achievement that I can bask in when I get that medal at the end. So sue me (or sprint too, just sayin’). I am going to sprint to the finish line whether you like it or not. I can turn this 99% bad run into a strong finish! I have multiple examples of photographic evidence that I am absolutely in my own world when I run and 100% oblivious to any photographers that may be on the course. How the heck do you see these photographers? How do you distinguish who are race photographers and who are spectators waiting to take photographs of their loved ones? If you do spot them how long do you smile for? 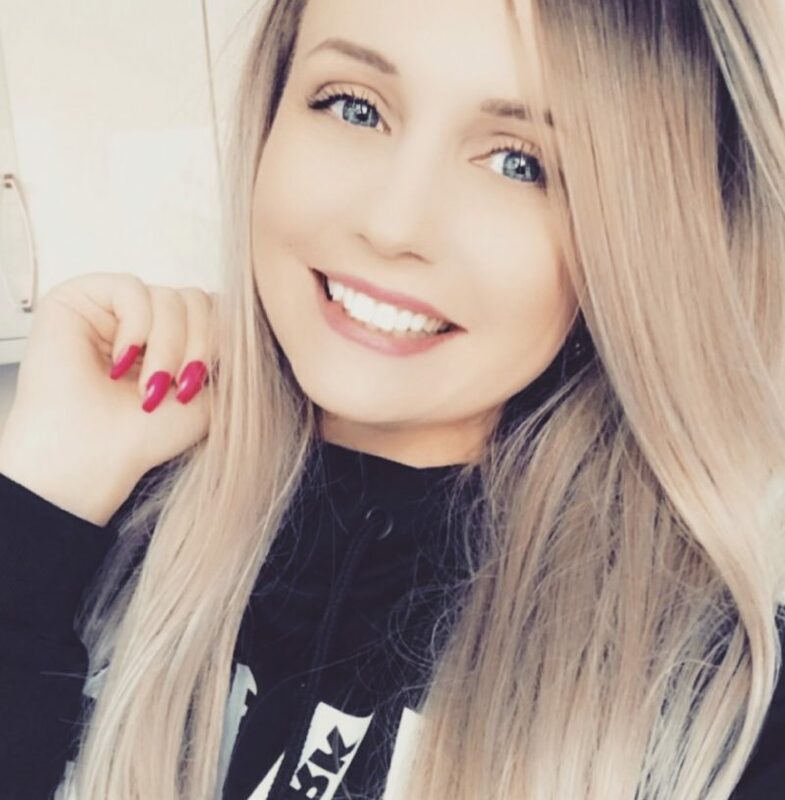 When should you start to smile? I… just… don’t… know but some of you out there are doing it and you have beautiful photo memories of races throughout the years. I have, photos I never want to show even to my pets. At one of my first races of 2017, the organisers had provided free race photographs. I can’t say I was particularly thrilled with this idea as I was pretty new to the whole race world and couldn’t think of anything worse than seeing myself running and looking a mess. Anyway, I was secretly pleased that I didn’t actually see any photographers on the course and assumed there were none. That was until the second lap when the two girls in front of me spontaneously jumped in the air together. ‘That’s strange’ I thought until I saw a photographer behind them and realised they were posing for the camera. So I can proudly say that I have a race photograph of myself looking absolutely bewildered while two girls are jumping in unison ahead of me. They look fun, I look like I’ve got lost somewhere along the way and stumbled upon a race by accident. This category also harnesses the ‘Instagram One’ where their post-race selfies after marathons and such are more perfect than I’d ever take with 15 ring lights and half an hour of Facetune. After the London Marathon last year, I watched peoples’ posts to Snapchat that had just finished the race. There was a girl who’d finished the marathon in an amazing time and she looked absolutely perfect. I’m talking immaculate mascara, not a hair out of place, eyebrows on fleek the lot, all while she had a silver blanket draped around her shoulders clutching her medal. I can’t even tell you how envious I was, I look like an actual troll from under a bridge when I do a 5k! I can only put it down to the fact that they are much better runners than I am which is why they aren’t a sweaty mess by the end. Boom boxes may no longer be in vogue but wearing your smartphone on your arm and blaring out your music, what’s what all the cool kids do. So put on your leg warmers and join along. Rocky Theme Tune, let’s have some, Eye of The Tiger, risin’ up to the challenge of our rival and so on, for the duration of the distance and you have to listen to every single one of them (even though you didn’t ask for it). Usually, these runners will be playing music like this when there is an Mp3 player ban or headphone ban but they’re typically on quiet country lanes where the tone of the race is ‘countryside musing, talking to nearby horses and cow spotting’ so it doesn’t really fit the atmosphere. I love listening to music more than anyone when I’m running and I find it really daunting to run any distance longer than 10k without it but please don’t subject us to all of your favourite tunes. They’re not EVERYONE’S favourite tunes and if you’re running at the same place, you better hope you can outrun them so you don’t have to listen to their playlist the whole time. I’ve got love for you, if you were born in the 80s but not if you’re going to blast your music out loud like we’re still in them. With more and more races banning mp3 devices, the Chatterbox is really coming in her (or his) own and I never realised that was me… until I ran a quaint little race and ended up chatting with a lovely lady. And I talked and talked and talked until she managed to break away from me and have some time on her own no doubt. I say I didn’t realise Little Miss Chatterbox was me because when I looked at the race photos later on, there I was, running alongside this stranger and she’s posing for the camera looking all lovely but I’m there (obviously I didn’t see the photographer) very noticeably chattering away to her using hand gestures and everything. I’m very sorry lovely running lady, I ruined what would have been a nice race photo for you, perhaps you could just crop me out of it. I do actually enjoy having a natter with a fellow runner during a race. I like finding out what other races they’re doing and other bits about them and what time they’re hoping to finish in. But I also find there’s an awkward part once you’ve started chatting, wondering whether it’s rude if you try and get ahead or whether you should continue running the rest of the race alongside them no matter how much further you’ve got left to go. I’d be interested to hear your thoughts on race etiquette here as to what is acceptable ‘breakaway’ behaviour. One of the more rare runners is The Oversharer and I’ve only encountered it once before at a race. These are the runners who shout out distresses they’re enduring of which there is nothing you can do to help them or assist them any advice you just have to ride it out with them, quite frankly terrified of the consequences. My one and only example of this was on the last mile or so of a race, there was a lady who was running behind and alongside me for quite some time. I was alerted to her presence because she was clearly in some sort of distress, but quite what I couldn’t work out as she was still running and keeping a good pace. I myself was suffering from some knee pain as it was all downhill and aches that hadn’t been there the whole race suddenly showed themselves so I naturally assumed she was suffering from something similar. We were getting very close to the final section of the race and she shouted to one of the marshalls ‘how much further is it’ which further cemented my theory that she was injured in some way and frantic as to its end. Now, I’m not too sure how to put into words from what it was she was suffering so I’ll do so as delicately as I can. At this point she was almost shouting out continuously which was quite distracting, however, it wasn’t as distracting as when she finally shouted out ‘I’m going to soil myself’ (the PG version of what she actually shouted out). I’m not sure my reaction was the correct one, but I went into an absolute blind panic. Not just for myself but for her also. It was legitimately the only thing I could think about from that point onwards… knee pain, what knee pain. 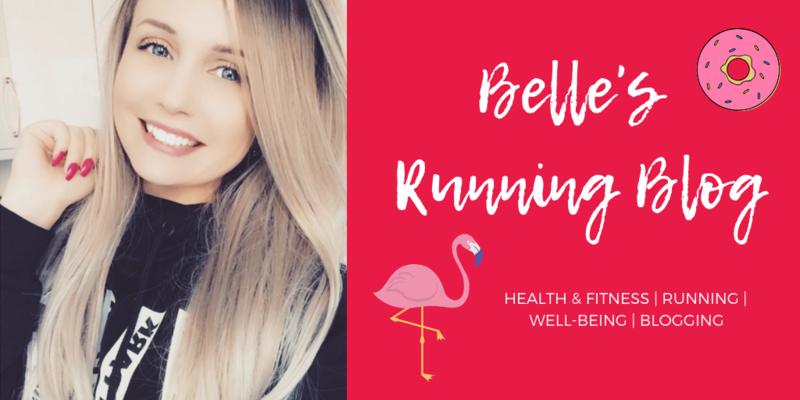 If you’ve been running for some time you’ll most likely have been plagued by the runners trots or you’ll likely know someone who has and you’ll know, there is absolutely nothing you can do about this if it happens to you. My first concern was, what do I do if that actually happens? Totally not her fault it happens I get it but she’s actually shared this information with me and many other runners around us and I feel obligated to help in some way. Do I ignore her and continue running? Do I somehow offer some words of advice or encouragement? Do I share just how terrified I am that I might be witness to this? Obviously, I did the first one because I’m certainly not the sort of person you want around when you’re in an awkward situation, I can offer you jokes and light humour but actual advice that you can apply to real life problems, nope not in this town. Luckily for me, and even more luckily for her, she stayed clean and dry but girl get some Imodiums down you. 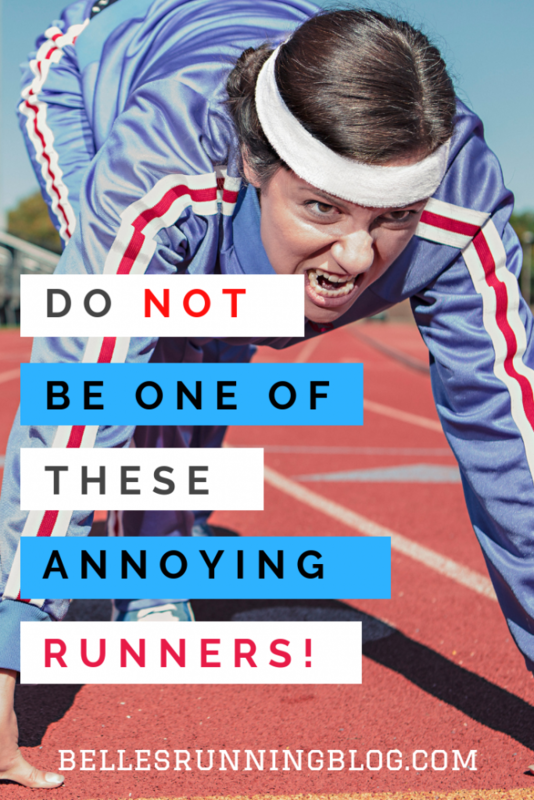 I hope you’ve enjoyed some of these hilarious types of runners at races and I also hope that if you are one of these yourself, you aren’t offended and we can all laugh at what unique creatures we all are. Running brings out all sorts of different people from all different ages, backgrounds, fitness levels and that’s the one thing I just love about races more than anything. We’re all there for the same thing, with the same goals (to finish the race) and I love how supportive people are of each other. Pro runners will stop metres from the finish line to carry a fellow runner across, spectators and other runners who encourage others when they’re clearly struggling, people who will stop running to talk to and offer advice to people who are clearly in aid. You’re all the best, running wouldn’t be the same without you.